Our product range includes a wide range of multifunction calibrator meco 90 dq, ac multifunctional calibrator meco 90p, volt ma calibrator source & amp measures kusam meco 700, v/ma process calibrator km 907, universal calibrator meco 90a and stop watch digital racer. 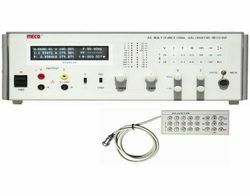 MODEL 90DQ Multifunctional calibrator can output standard AC voltage, DC voltage, AC current & DC current. Output actual value, percent andFS display at the same time. Calibratormay select FS (full scale ) and relevant step in according with scale of UUT ( unit under test ). Keys or knobs adjust magnitude of the output signals. Wide range, high accuracy, good stabilization, easy operation and portable. 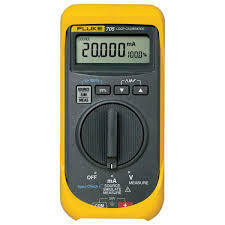 The calibrator applies to test ampere meter and voltmeter upto 0.2 class. 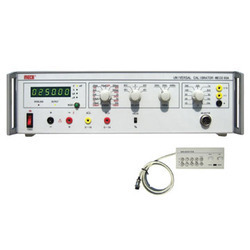 MODEL 90P AC multifunctional calibrator can output standard AC voltage and AC current. It measures AC Voltage, AC current, power, phase angle, powerfactor and frequency ( 40Hz~70Hz ).Wide output range of current and voltage; High reliability and low wave distortion. Calibration of Power Meters, AC Volt, Amp, Watt, Var, Frequency, Powerfactor, Phase angle and Energy Meters. Calibration of Voltage, Current, Active & Reactive Power, Frequency, Powerfactor, Phase angle and Energy Transducers. Mode KM-CAL-700 Volt / mA Calibrator is a source and measurement tool. 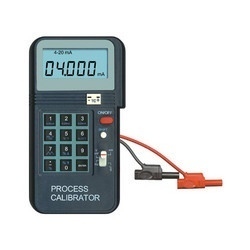 This calibrator is useto measure or output 0 to 24 mA DC Current loop, & 0 to 20V DC Voltage.But the calibrator cannot be used to measurement and source simultaneously. Loop Power output : 24V ± 10%ï Input impedance : 2 Megohm. Relative Humidity : 95% upto 30°C, 75% upto 40°C, 45% upto 50°C, 35% upto 55°C. Power Supply : 1.5V AAA x 6 batteries. This is a source and measure type of calibrator and it gives high accuracy of 0.02% .It has dual display. 5 digits display for measure and 6 digits display for source &white LED for backlight. High Accuracy of 0.02% for measure and source. 5 digits display for measure. 6 digits display for source. 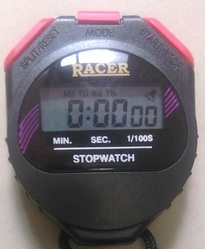 A dual, Liquid Crystal Display. Test leads, Fuse, User’s Manual, Carrying Case. MODEL 90A Universal Calibrator gives a standard output for AC Voltage, DC Voltage, AC Current & DC Current. Keys or Knob help to adjust the magnitude of the output signals. Important features include wide range, high accuracy, good stabilization, easy operation and portability. The Calibratoris ideal for testing ammeters and voltmeters upto 0.2 accuracy class. 4-20mA (1.0 Load, 24V Loop Output). G-20mA and 0·24mA output ranges. G-1 00% output with percentage st.p option. Open loop and overload buzzer alann. Accuracy @ 25°C ± 5°C 85% R. H.
Accuracy from 0.025% of range using any of 29 pressure modules. Modules available for differential, gauge, vacuum, absolute, dual and high pressure. Looking for Universal Digital Calibrator Multifunction ?